The deYoung Museum in Golden Gate Park. Act quickly to take advantage of this Groupon for admission to the "Rudolf Nureyev: A Life in Dance" exhibit at the deYoung Museum located in Golden Gate Park. This exclusive exhibit runs through February 17, 2013 and there are three days left to purchase this deal on Groupon. The deal is for a 50% discount on admission to the exhibit and general museum admission. If you redeem your admission this month (January), you also get a 20% discount at the museum store. Rudolf Nureyev (1938-1993) was a Soviet-born dancer and choreographer who defected to the West from the Soviet Union in 1961. He was a hugely popular international performer appearing on stages around the globe; he also appeared in a number of television programs and films. The deYoung's exhibit features more than 80 costumes and 50 photographs from Nureyev's personal collection, among other items. 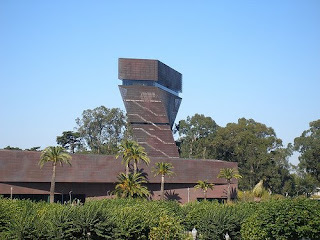 The deYoung Museum is part of the Fine Arts Museums of San Francisco, along with the Legion of Honor in Lincoln Park. 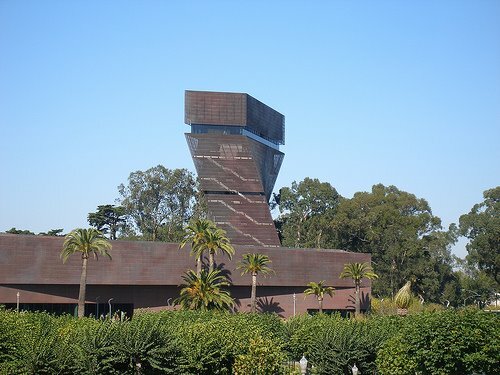 The deYoung museum is the fourth most visited art museum in North America. The museum features permanent exhibits concentrating on art of the ancient Americas, Oceania and Africa, as well as American art and international textiles and costumes. There are also frequently changing temporary and traveling exhibits from museums around the world. The deYoung Museum is open Tuesdays through Sundays from 9:30 a.m.-5:15 p.m. General admission to the museum for adults is $10. Admission is free the first Tuesday of every month. Special exhibits may have additional admission charges. Tickets for "Rudolf Nureyev: A Life in Dance" are $20 for adults. The museum is located at 50 Hagiwara Tea Garden Drive in San Francisco's Golden Gate Park.